Well, Today's post is an overdue one! I'm so sorry for that darlings. A while back, I wrote a post on here to share a fund raiser page I created to help me get money for going back to physical therapy towards my goal of Walking again! Well, GOOD NEWS!!! The Fund raiser was a success and I am now in Physical Therapy!!! 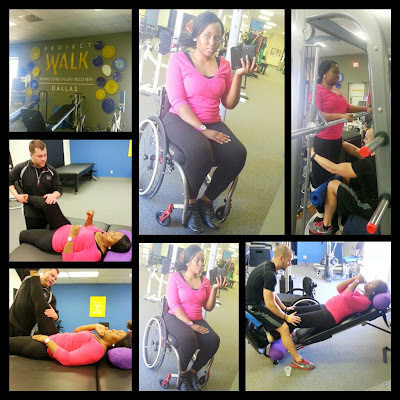 I update more about my physical therapy Journey on my other blog. This blog is my "beauty Blog", and I don't really say much about my life on the wheelchair here, except with regards to beauty. If you're interested in following my recovery/physical therapy journey, please follow my other blog HERE. Anyhoo, I started physical therapy and this is my 3rd week there. It's been an interesting and hectic journey. But No worries, I'll still create time to keep y'all entertained. Anyhoo, here are some pictures from these past 3 weeks at therapy. Here I am standing with the help of a standing frame at project Walk. Feels so good to be doing this. 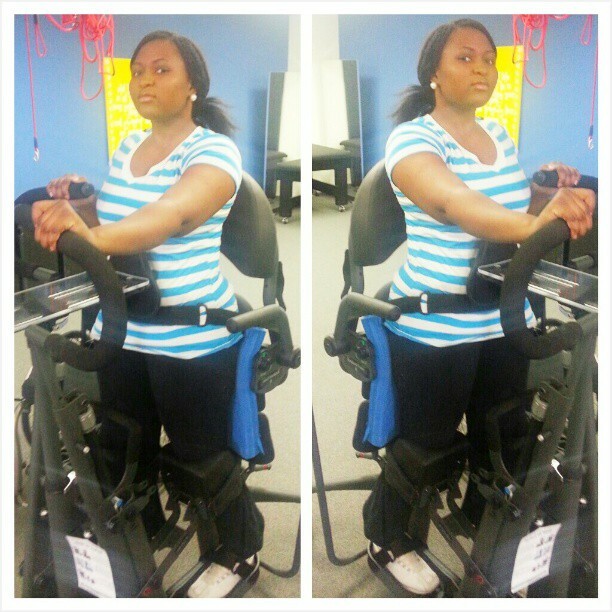 I'm looking forward to being able to stand on my own again. And here's a collage on my first day back at Project Walk. Yaahhh.. These aren't fashion pictures, but I felt I owed it to you all to update you on this journey since I know some of you donated to my funds for going back to physical therapy. AGAIN, Stay updated via my Other blog HERE. Hahahaha.. Yep... Lol.. I got it like that!!! That is amazing! I'm so glad everything is working out! Best wishes! Amazing, Lizzy :) It's so great that you're able to start up with pt again :) Hugs and prayers from here, as always, girlie!